This traditional course features rolling to flat terrain was designed in 1952. 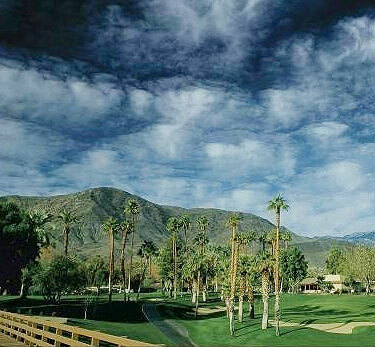 Great location Rancho Mirage with lots of history, this is one of the oldest clubs in the desert. Tif-dwarf greens. The first private course outside of Palm Springs. Thunderbird was the original site of what eventually became the Bob Hope Chrysler Classic. A new clubhouse was added in 2003. Private; Guest with members and sponsored. Cart required. One of the oldest courses in the desert. Thunderbird was the original site of what eventually became the Bob Hope Chrysler Classic.